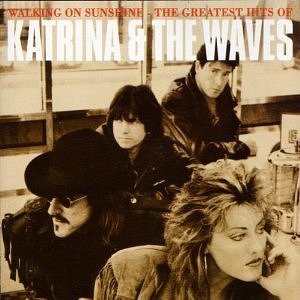 Katrina and The Waves are best remembered for their hits "Walking On Sunshine" (1985) and "Love Shine A Light" (1997). The band was the result of a collaboration of two bands, The Waves and Mama's Cookin'. The Waves first formed in 1975 in Cambridge, England, and included Kimberley Rew (male) and drummer Alex Cooper. Cooper left in 1977 to join The Soft Boys. 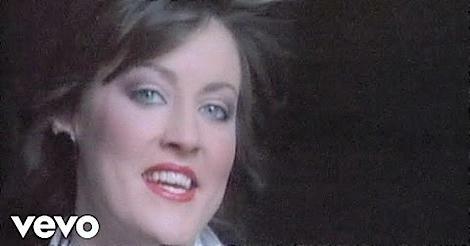 Mama's Cookin' formed in 1978 and featured Katrina Leskanich and her boyfriend Vince de la Cruz. Cooper joined them on drums in 1980, along with bassist Bob Jakins. By 1981, The Soft Boys had disbanded. Mama's Cookin' formed in 1978, and featured Katrina Leskanich and her boyfriend Vince de la Cruz. Cooper joined them on drums in 1980, along with bassist Bob Jakins. However, by 1981, The Soft Boys had disbanded. Rew asked Cooper to join Mama's Cookin' (which he did) and the five piece band renamed themselves The Waves. Katrina Leskanich eventually became the lead singer. In 1982, the band released their first album Shock Horror, along with the two singles "Nightmares" and "Brown Eyed Son". None of the releases were commercially successful. Jakins left the band in 1982, with de la Cruz taking his place as bassist. By 1983, the band consisted of four members Katrina Leskanitch, Kimberley Rew, Vince de la Cruz, and Alex Cooper. 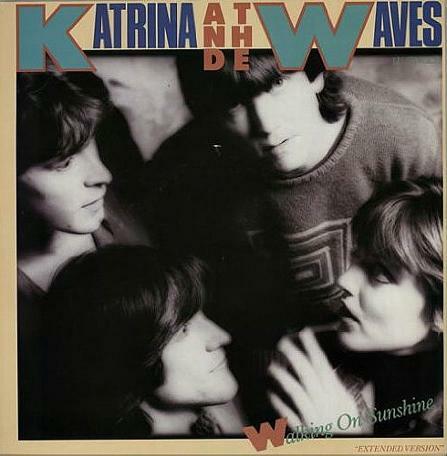 They renamed themselves Katrina and The Waves, and released their debut album Walking On Sunshine in Canada only. This upbeat single is just the ticket to cheer you up on a dull day, and we get plenty of them here in the UK! The infectious tune made #8 in May 1985 (UK) and #9 in the U.S. It was originally released only in Canada in 1983, and featured on the band's debut album which was also entitled Walking On Sunshine. 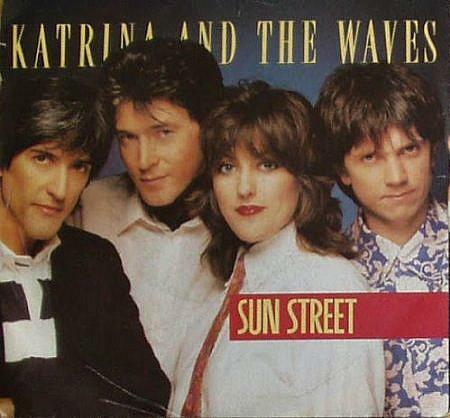 However, the song was re-recorded for the album Katrina & The Waves which reached #28 in the UK album charts and was the band's only Top 40 album. However, the song was re-recorded for the album Katrina & The Waves, which reached #28 in the UK album charts during 1985, and was the band's only Top 40 album here. "Walking On Sunshine" remains a big royalty earner for the band due to its usage in adverts and lots of airplay. Some sources suggest that the band have raked in around $1 million per year in recent years. The follow-up single "Do You Want Crying" only managed a dismal #96 in the UK, but reached #29 in Canada and #37 in the U.S. The band did have one more hit singles in Britain during the 1980s with "Sun Street", which reached No.22 in 1986. The band's fourth Album, Waves, would only reach No.70 in the UK (No.49 in the U.S.), with the only major hit single from the album being "Sun Street". Lead single "Is That It?" reached No.82. The band would have to wait until 1997 for another big hit, when "Love Shine a Light" reached No.3 in 1997 after winning the Eurovision Song Contest. After the band failed to follow-up their Eurovision winner with any further hits, Katrina left the band in 1998. The band tried and failed several times to replace Katrina, and disbanded in 1999. In 2010, the band celebrated the 25th anniversary of the song by releasing a re-recorded version of the song, a number of back catalogue re-issues were also released. During July 2013, Katrina performed with The Waves at the Spanish San Fermin Festival for the penultimate gig of the season on Plaza Del Castillo.